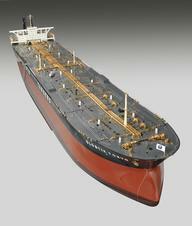 Model of M.V. "Gambada" (1972) with glazed case. P. & O. Steam Navigation Co.